The problem is MadDog that back then mod's where involved, and they said i had to move. Even though nothing i did was against the rules but what THP did was. Makes you wonder. 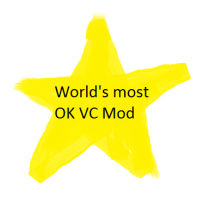 I don't care if saying this will cost me my position as mod. Viking told us you moved voluntarily. He originally told us there was nothing we could do and then came back like 15 minutes later and said that you decided to move. Last edited by Tautochrone on Sun May 04, 2014 5:52 pm, edited 1 time in total. Please stay on topic, would you like us to assist in moving your rail mald? Thoughts about the THP ORDER canal? Other than expanding it wider, do we have anything fancy we'd like to do to it? But i agree this is going to far, i will start removing the rails under the village tomorrow afternoon my timezone when i get back from work. Would people mind if i clean up this topic, because all people that concern this know whats going on? Maldechem wrote: Would people mind if i clean up this topic, because all people that concern this know whats going on? The original post of this was deleted. This is to make sure the thread stays intact. Just wanted to update the People at the Order that the K.V.K - Order road is well on it's way. We recently acquired some inactive people's stuff which will really help with the expansion of the road. Just wondering about where it is going on your end as I have reached my side of the birch forest west of you and need directions on where to go from there. Get back to me in game or on here. Oh and Ubi, K.V.K has made a recent expansion to an area above the lake near The Order's city. Just so you know to update the map. Jaeg just told me that the Order/V2 road goes right through our back entrance to our farm. If that can be moved that would be great. I think this road is a great thing, but people do need to respect property and the 50 block rule. If someone asked it would have been fine, but now we have to deal with a problem that never should of happened. OzzyRaptor wrote: Jaeg just told me that the Order/V2 road goes right through our back entrance to our farm. If that can be moved that would be great. I think this road is a great thing, but people do need to respect property and the 50 block rule. If someone asked it would have been fine, but now we have to deal with a problem that never should of happened. V2DISCOUNT wrote: Just wanted to update the People at the Order that the K.V.K - Order road is well on it's way. Just sayin' that I just built it where Palmer told me to build it but if you want it moved I'll be happy to move it around the entrance. Really proud to see all the efforts to work together. The server has come a long way since I first joined. Reading the posts on this last page are very refreshing. I'll rectify this as soon as I get an /allow from V2. Map updated to what i believe is a more accurate representation of property lines. If people have edits to be made please bring them to my attention if not make a small map yourself for me to go off of. The placement of noob town is way off. The northeast corner is desert. On that map it's green.